The brand new Motive range is now available and is already proving a huge success. Click here to see our new Motive pages. 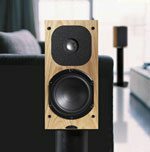 The first review of the Motive One, in the February 2006 issue of HiFi Choice, saw the speaker awarded the prestigious “Best Buy” tag and a high overall score of 90%. Comments included “superior neutrality…in fact few other speakers can match it in this regard” and“midband is exceptionally expressive, bringing unusual realism to individual voices. 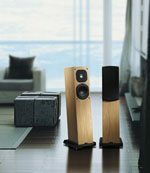 The new Motive One is an outstanding example of a top-quality compact floorstanding speaker”. The current issue of HiFi World features another excellent review, this time of the Motive Two, which was praised for its “smooth, clean and honest performance”. Five stars for Motive Three! 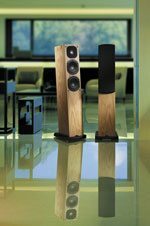 The March edition of What Hi Fi features a five-star review of the Motive Three, stating: “Rarely do we come across a pair of speakers that deliver dynamics with such conviction. The sparkling sonic presentation presses all the right buttons; these Neats are entertainers of the highest order”.